Leicester City 0 Manchester City 0, 29/12/2015. King Power Stadium, Premier League. 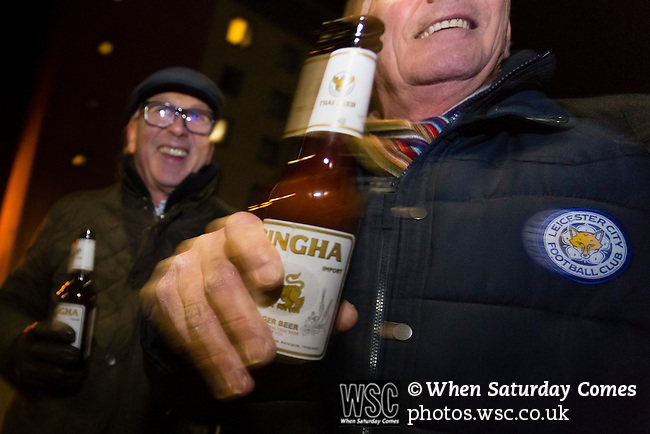 Leicester fans enjoying a free beer provided for home fans by the clubs thai owners at The King Power Stadium Leicester, before the goalless draw between Leicester City and Manchester City. Photo by Paul Thompson.